Join us in celebrating our sea otters and sea otters around the world during Sea Otter Awareness Week beginning Sept. 24 through Sept. 29! Special educational activities will take place in our atrium on Sept. 29 from 11:30 a.m. until 2:30 p.m. Our Cold Water Quest is home to four Southern sea otters, one of which arrived when the Aquarium opened in 2005 and three others who were rescued in 2010. You will have the opportunity to learn more about our Southern sea otters and additional information about how you can help with the conservation of sea otters. Our rescued sea otters, Bixby, Cruz and Brighton, are named after geographical locations along the California coast, the natural habitat of a Southern sea otter. Brighton was found at 12-weeks-old, and believed to have been orphaned or weaned prematurely from her mother. The U.S. Fish and Wildlife Service deemed Brighton non-releasable. She was examined and treated by the Sea Otter Research and Conservation (SORAC) program at Monterey Bay Aquarium before coming to her forever home at Georgia Aquarium. Sea otters Bixby and Cruz were rescued in August of 2010, Bixby a four-week old pup and Cruz a two-week-old pup, were found separately along the California coast. It was determined that both pups had lost their mothers to fatal shark attacks. Fortunately, both pups were found in fairly good health. However, the SORAC team had no females available in their surrogate program, so both pups were deemed non-releasable. Both Bixby and Cruz arrived at Georgia Aquarium in September of 2010, where they received 24-hour specialized care. Brighton, Bixby, and Cruz are now seven years old and are thriving. Sea otter Oz arrived when Georgia Aquarium opened in 2005. Sixteen-year-old male sea otter, Oz, has the distinction of being the world’s first Southern sea otter conceived, born and raised by its mother in a zoo or aquarium. Oz arrived at Georgia Aquarium in October of 2005 after living at the Oregon Zoo. 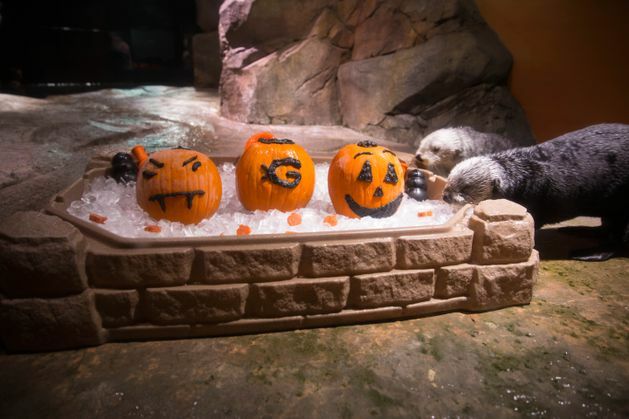 Join us beginning Sept. 24 to learn more about Southern sea otters. Included with General Admission, guests will have the opportunity to interact with our team members daily throughout the week to discuss sea otters and learn interesting facts. 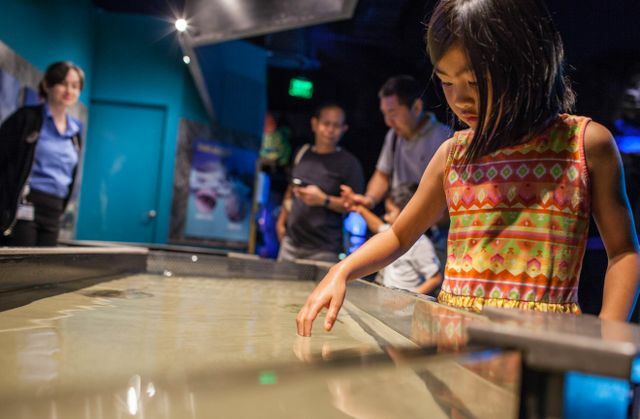 On Friday, Sept. 29 from 11:30 a.m. until 2:30 p.m., you can participate in a wide variety of activities including playing with sea otter enrichment devices, learning the difference between sea otters and river otters, coloring activities, and many more. For more information, visit us online at www.georgiaaquarium.org/sea-otter-awareness-day. 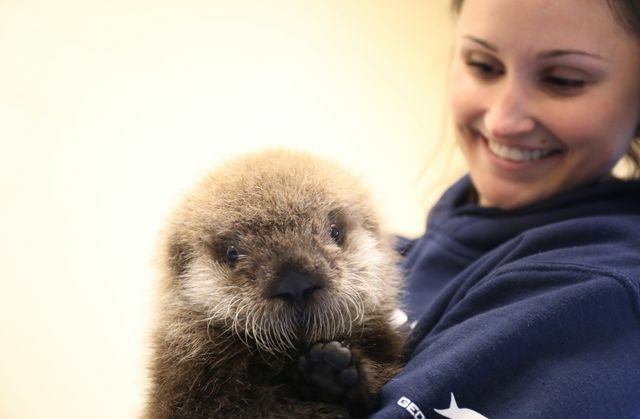 While Sea Otter Awareness Week is a nationally recognized week, zoos and aquariums spend 365 days working tirelessly to educate and inspire guests, while providing the best veterinary and nutritional care. For more Sea Otter Awareness Week coverage, follow us on Facebook, Instagram and Twitter. One way or an otter, we hope to sea you there!